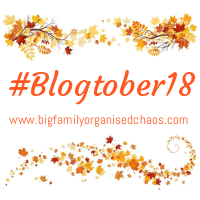 It’s day 10 of #blogtober, and today we are shouting out #WorldMentalHealthDay. Today’s prompt is “Just Be Yourself”. I’m going to talk about social media and how it triggered my depression. I have been wondering what to share today, and have written this post several times already. First, I was going to write a letter to my school bully who made me hate myself for years. Then I was going to write about my own mental health journey. In the end, I have decided that I am going to focus on how I stop social media sending me on a spiral of depression. Back in 2007 when I first joined Facebook, it was full of friends sharing photos from drunken nights out, laughing about our adventures and planning the next ones. By 2010, it was beginning to shift and photos were less snapshot and more pouty. Instagram took this to the next level. Suddenly, people were sharing this “perfect” picture of their lives, and glossing over the metaphorical cracks. Twitter was my sanity saviour during my pregnancies. I found so many like minded parents and parents to be on there, that I quickly morphed from a casual social media user, to a full on addict. It was all good though – we were all being honest. Talking about the bad nappies, morning sickness and the nightmare of breast feeding. By 2013, I was beginning to think that people were either seriously OCD about cleaning and presentation, or they weren’t showing the reality of their lives. The images with perfect backdrops, freshly laid tables and immaculate decor made me feel inferior. Their homes without hand prints on the walls, without crumbs on the table and without a hair out of place on their head made me feel like I was failing as a wife and a mum. The photos of happy children, dressed perfectly, without a speck of weetabix on their faces or a stain on their outfits made me feel like a bad mum. Around the same time, we realised our son wasn’t hitting milestones and he was referred for an Autism assessment. This made me feel even more useless. My thoughts became more and more negative and my mood spiralled. I realised I was in trouble, when I started thinking everyone would be better off without me. The next day, I went to the doctors and cried all over the GP. I was quickly referred for counselling and given antidepressants. The next 3 weeks were the worst of my life. I felt lower than ever and even getting out of bed was hard. I continued blogging and I continued using social media, but I began to unfollow or hide posts from the glossy social media accounts, and followed more real life accounts instead. The people who were discussing their depression, their kids’ tantrums and the fact their laundry pile was bigger than their 6 year old. THESE were my people. My depression is under control now. I’m still on antidepressants, but life is ok.
Social Media is not real life. People can put on whatever kind of show they want. Some people (like me – above), go for the real life angle. Others prefer to use every filter available to paint a perfect picture. I cant imagine how much pressure they are under though. I can’t imagine not being able to share the sleep deprived photo of my son when he said “love you” for the first time, because the bed was a mess, or the lighting wasn’t just so. Or (like here) the look of total bemusement on my face when my 30kg dog decided she needed to be carried. YES, I look a mess, but so what! This is me! Like me or lump me! My advice: Be yourself! Don’t present a false image – you’re human like the rest of us! If you’re feeling down because your life isn’t as perfect as the accounts you follow on social media, seek out some new online friends! I share the good, the bad and the in between – a true account of my life! Feel free to follow me on Instagram or Facebook if you need more real life on your timeline! Sadly it can work the other way around too, being too honest can cause others to get ratty with you. I just take Social Media for it’s face value now. Social media is such a tricky one isn’t it. I use Facebook to record all my happy memories so to others it may seem like I’m showing the good stuff, but I keep my bad stuff between my close friends off of FB. At the same time I do often think, oh look everyone has got more friends and are better liked bla bla bla, it’s got a lot to answer for hasn’t it. I always think social media can be so fake, especially Instagram! I look at some pictures and think nobody can live happily like that. I like Twitter. It is a lot more real. I am myself on social media. I share the good and bad.